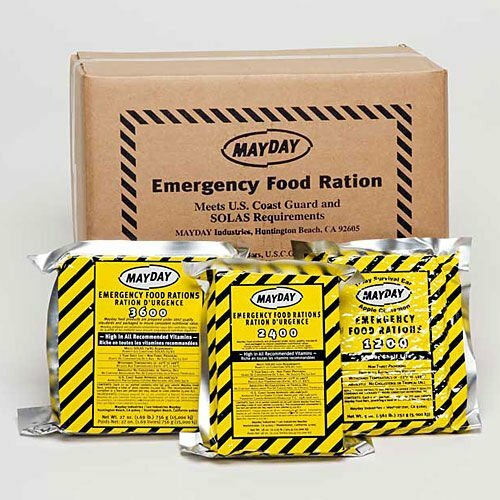 Mayday Industries is a manufacture and wholesaler that specializes in disaster preparedness supplies. Established in 1995, we have seen this industry change from west coast earthquake preparedness to a spotlight on national preparedness brought on by September 11 and the Iraq War. Mayday Industries has set itself apart from the crowd by offering some of the services listed in the letter. Finally! Not only a food ration that tastes great, but is also very nutritious. Our calorie bars are approved by the U.S. Coast Guard as well as the Canadian Transport Department and have a five year shelf life.